What stories do buildings and urban landscapes tell? How can movies be used to tell them? The Architecture and Design Film Festival (A+DFF) invites Winnipeggers to enter a short film competition. Registration for the competition is free and open to all. Make a two minute movie about architecture or the built environment for a chance to win great prizes and be featured in the only film festival in Canada that is dedicated to architecture and design. Architecture is everywhere. Get creative in showing how a place – any place – can tell a story. 1. Make a two minute movie about architecture or the built environment using any mobile device such as a smart phone or a digital camera. Feel free to make it humorous or serious, informative or absurd. 2. Complete the registration form which is available online at www.adff.ca. 3. 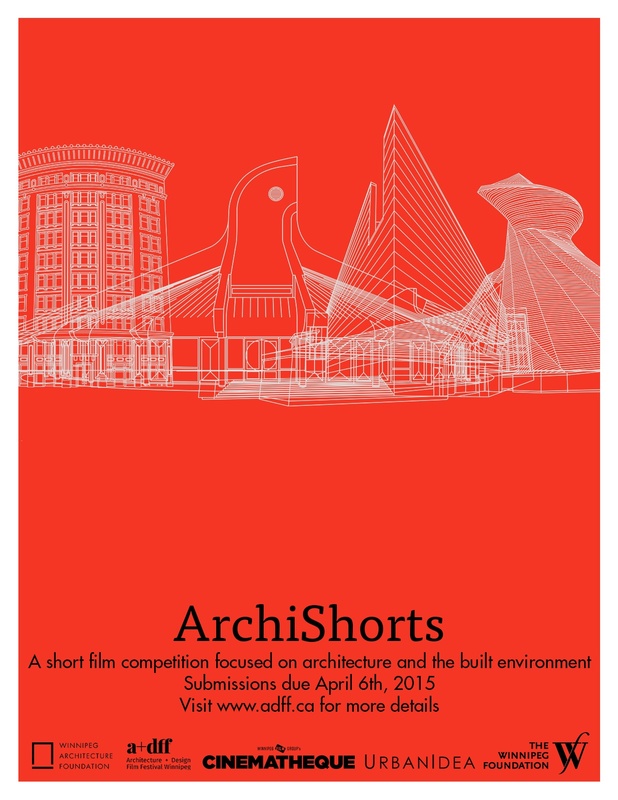 Use WeTransfer to email the film and registration form to archishorts@gmail.com by April 6th. 4. Come to Cinematheque, 100 Arthur Street, to see a free screening of the winning entries on Saturday April 18th at 1 pm. • The competition has one category for adults and another for youth 18 and under. There is a maximum of 2 minutes per film and 2 films per filmmaker. A+DFF is not responsible for copyright clearance for images or music. • Movies must be titled and emailed to archishorts@gmail.com by the April 6th deadline. WeTransfer is a simple way to share files with no sign-up required. In the left message box, please enter the film title, filmmaker name, and age category. • Movies will be chosen by A+DFF judges. All participants will be emailed with results. As many entries as possible will be screened. Any questions? Visit www.adff.ca for more information or contact archishorts@gmail.com.